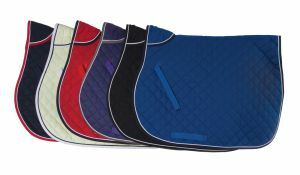 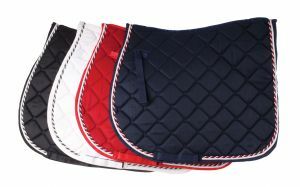 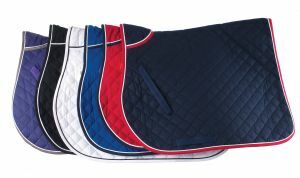 Fully padded saddle cloth giving comfort to the horse. Twin rope bound in contrasting colours. 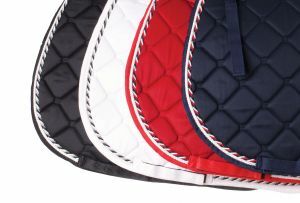 Velcro strap for securing to girth straps and loop for positioning.